Unlike Harvest Hosts, which in most cases involves commercial businesses, Boondockers Welcome is parking on private property, most often in someone’s driveway. From what I understand, it can run the gamut from a simple, safe autonomous place to park for a couple of nights, to hospitality that stops short of a Bed and Breakfast. The biggest question in my mind is “What’s in it for the hosts?” What are the expectations in exchange for a couple of free nights camping, possibly even with hookups? How to compensate the host for water and electric, if used? The Boondockers Welcome website says hosts are happy with just a good review. But when no business is transacted, (as with AirBnB) what value does a positive review hold for a host? If the motivation for someone to be a host is to spend time getting to know people on the road, then what is the expectation on how much time will be spent together? Is initial greeting and goodbye enough, or is that considered rude? It falls into that whole dance between introverts and extroverts. If you are an introvert, you get what I’m saying completely. If you are an extrovert, you are probably thinking “Why so anti-social?” To the gracious host, is an amended goodbye with “Gosh, we hardly saw you!” considered a blessing or a curse? 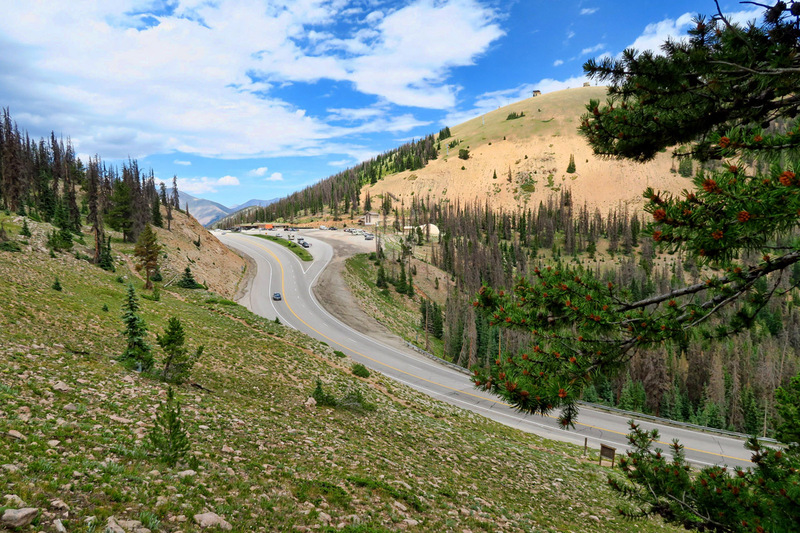 Coming from Gunnison over Monarch Pass on my way to Salida, I stop at the pass for a hike. 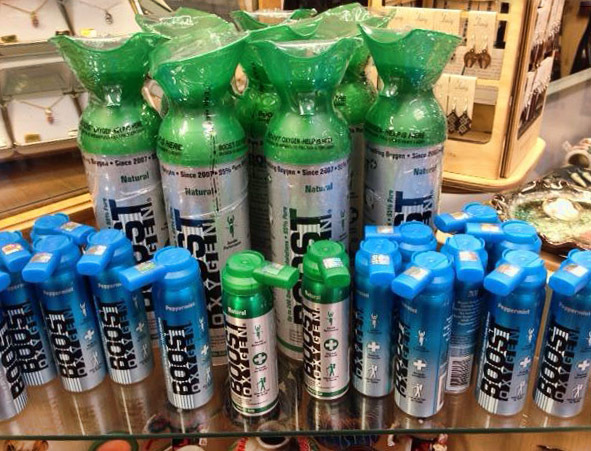 At over 11,000 ft, canned “Boost” oxygen holds a prominent place on the Gift Shop shelves. If oxygen doesn’t make you feel better, you can feel better in knowing there is a use for all those empty beer cans! The woman in the gift shop tells me to take the trailhead across Hwy 50. It’s not where I thought I was going, but it ended up being a nice four mile loop. 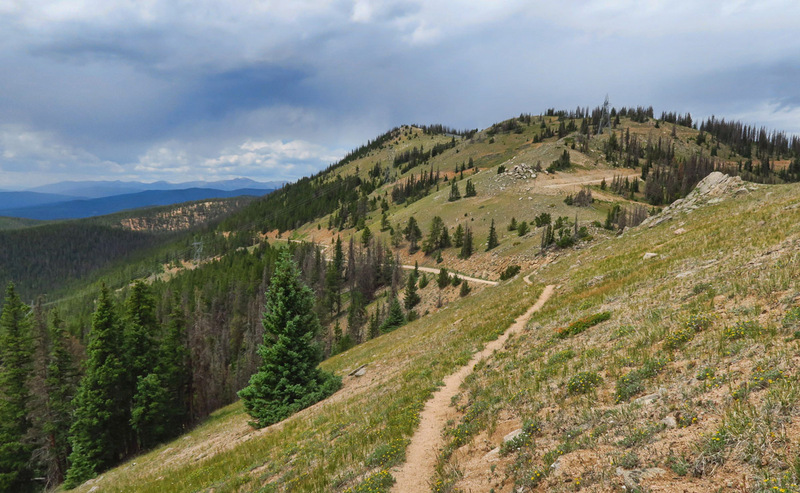 This trail overlaps the Continental Divide Trail. I ran into a couple of thru-hikers along the trail. 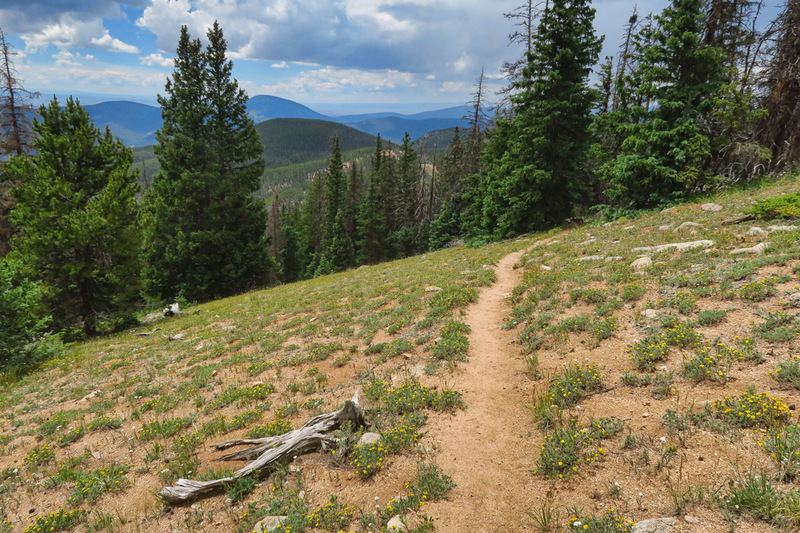 Nice views as the trail approaches treeline. 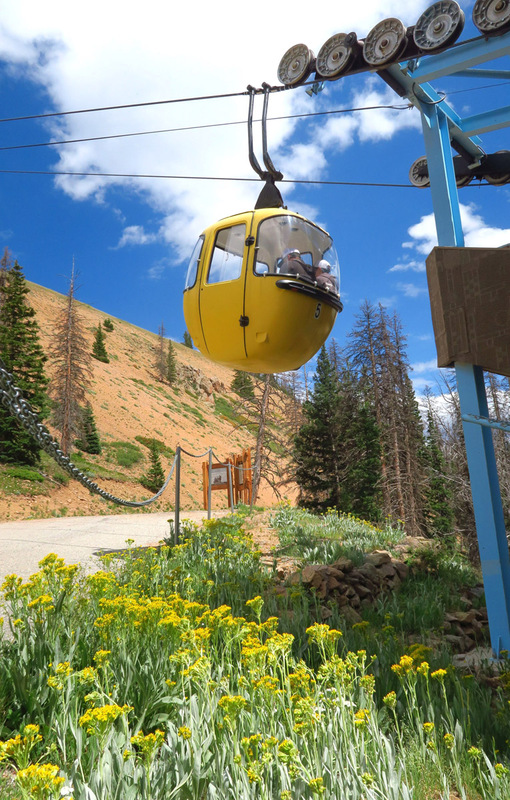 It’s a relatively easy loop, which is welcomed at 11,300 ft! 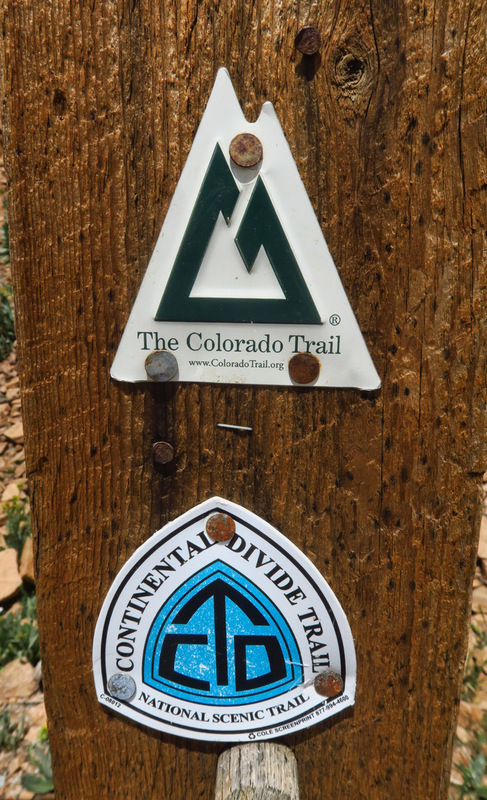 Both the Colorado Trail and the Continental Divide Trail follow this route. 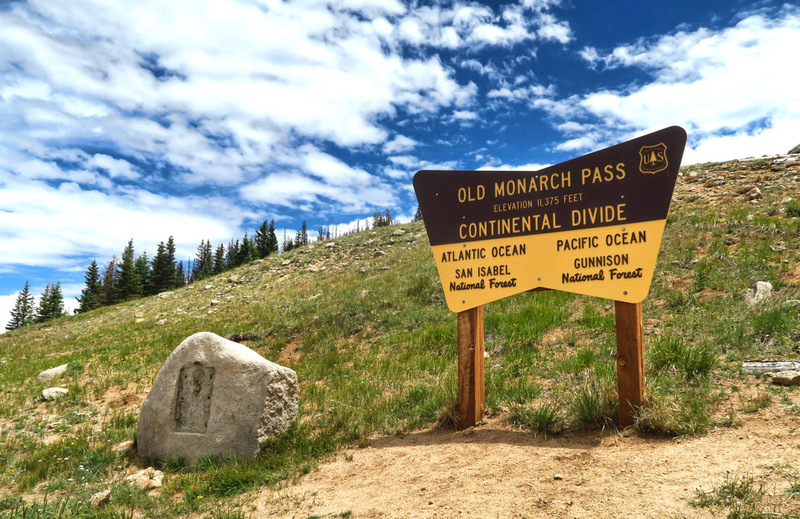 The trail loops around to “Old” Monarch Pass. There’s the Winnie down there, patiently awaiting my return. It costs $8 for a ride up in the “vintage” gondola. My time at “Cabin on the Creek” in Salida was lovely. I couldn’t have been made to feel more welcome if I had paid for a room at a nice B&B. I enjoyed trading stories of travel with the interesting hosts and their other guests, and fell asleep to the soft sounds of the creek running nearby. I was even invited to share a meal, for which I contributed a nice bottle of wine. They were more earlier risers than I am, but no hard feelings for the 7:20am knock on the door, and I hope there were no hard feelings at my respectfully declining in my pajamas. LOL! That’s why I am saying knowing one’s preferences up front could prevent either party from feeling awkward. Will I try Boondockers Welcome again? Possibly. But I confess, I am a bit puzzled by it still. Going in, I thought it was just a place to park. But after my first experience, I see it can be much more if both parties are engaged. But if I am not up to reciprocating with the same level of engagement, will I come across as rude? Or worse yet, allow myself to feel guilt? Where are the boundaries? I suspect they are different with every encounter. That’s why I think a little “Getting to Know You” profile would be helpful. I think Boondockers Welcome s a great concept, and I applaud the brain trust behind it. I hope my fellow RVers will support it with the $30 per year membership, which can be negated with only one stay. If I still had my house in Atlanta with the long, level driveway, I would certainly be a host as a way to pay it forward to other travelers. But I am a loner, a hermit, an introvert with only an occasional urge to socialize. So although I would have been happy to offer my driveway, I would have likely fallen into the “It’s just parking” category. Since there is no money transacted but rather hospitality and generosity extended, it is my opinion that understanding the expectations going in, or at least a little more about personalities would make for a more comfortable stay for both parties. Otherwise, it’s a deal that can’t be beat. 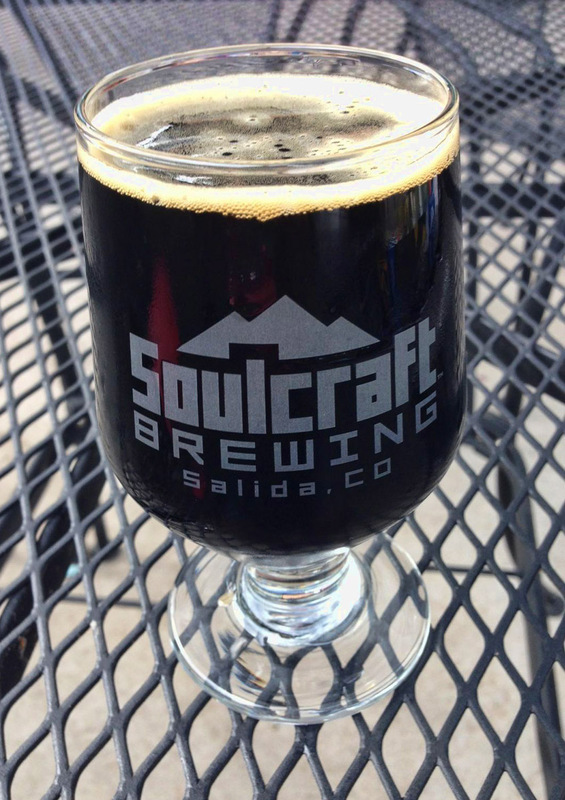 My best beer advisors, Jim and Gayle, recommend the Soulcraft Coconut Milk Stout. They’ve yet to lead me astray. 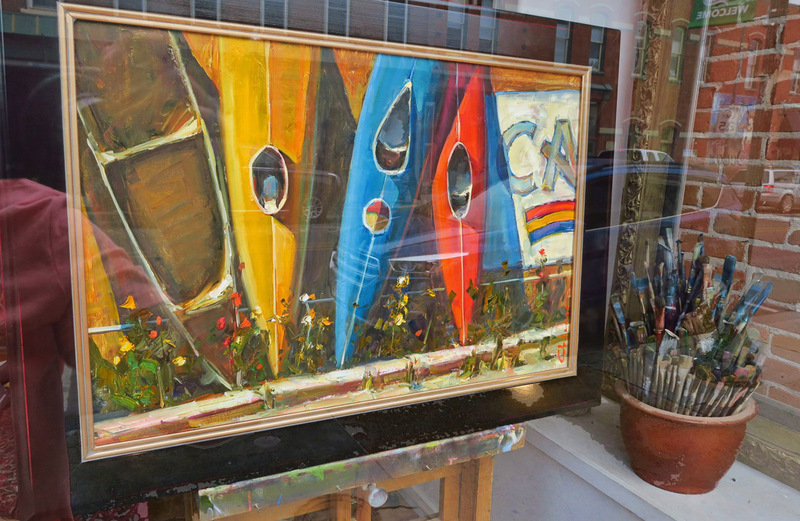 The town has a very artistic vibe. 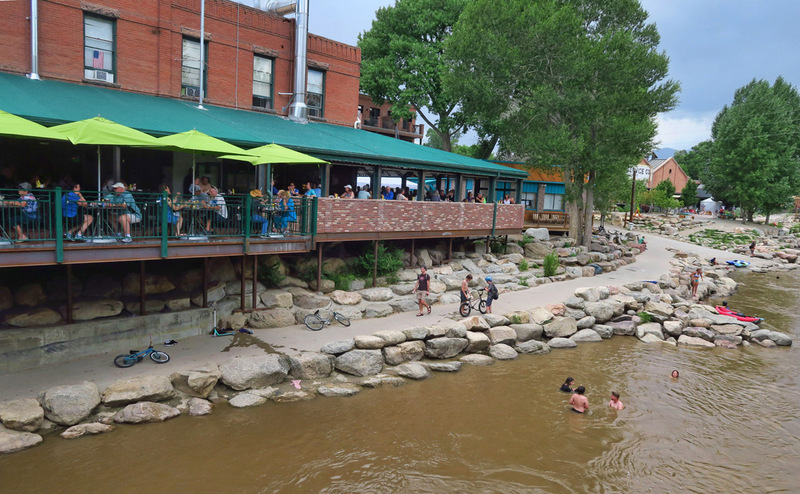 Many of the towns activities evolve around the riverfront, including concerts, summer movies, restaurants and festivals. Two things I never could figure out — why the Arkansas is so muddy here, yet so clear just 30 miles up the road in Buena Vista. And what was with all the flowers along the bridge? Lots of “river theme” running through town. Some interesting murals. 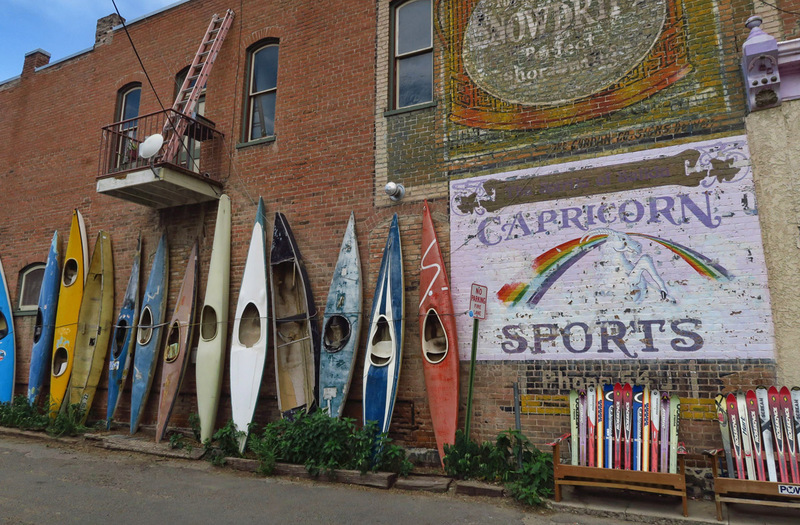 Salida was added to the National Register of Historic Places in 1984. 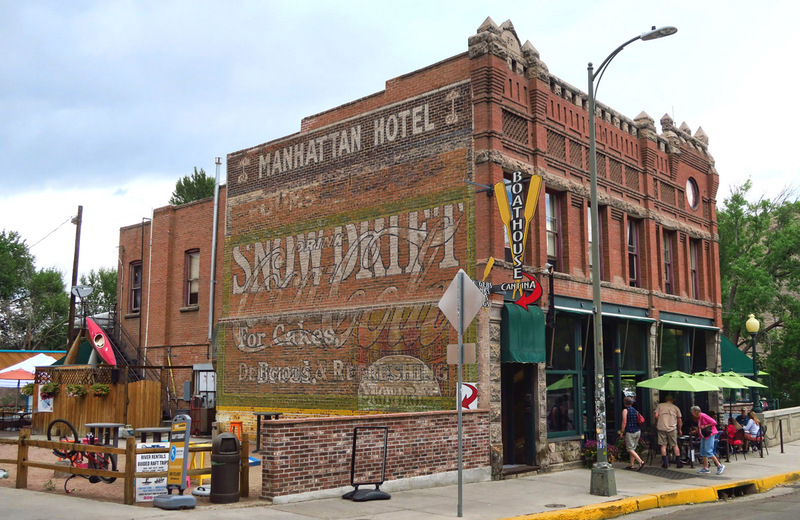 Following the 1888 fire, the town ordinance enforced that all buildings be made of brick. Someone’s going to be in big trouble when the gardener of the house gets home. 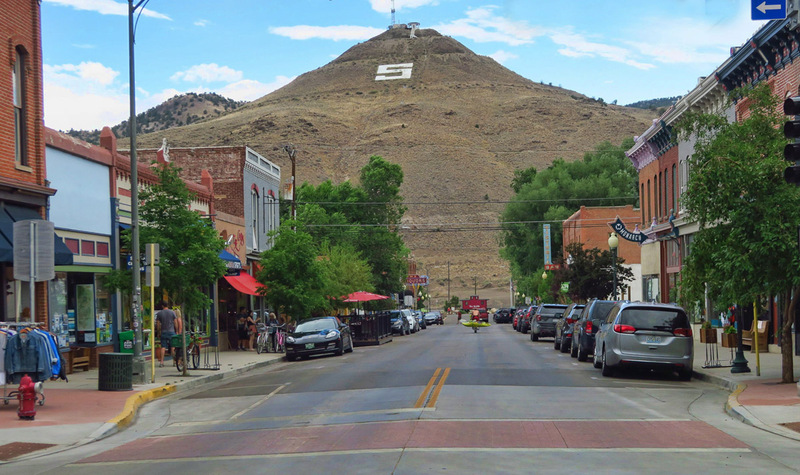 “S-Mountain” for the “S” on the hillside reminds me of the “M” in Missoula…another cool town where a river runs through it. 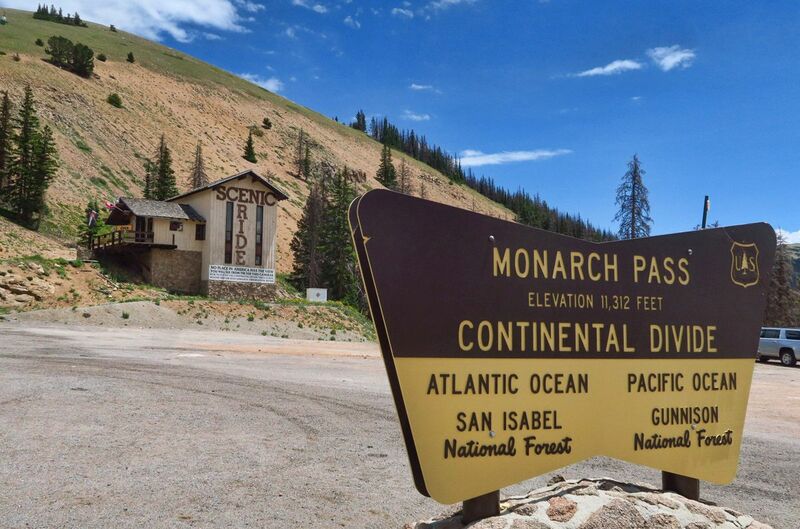 This entry was posted in Colorado and tagged Arkansas Headwaters Recreation Area, Boondockers Welcome, Monarch Pass, Salida, Salida East by Suzanne. Bookmark the permalink. 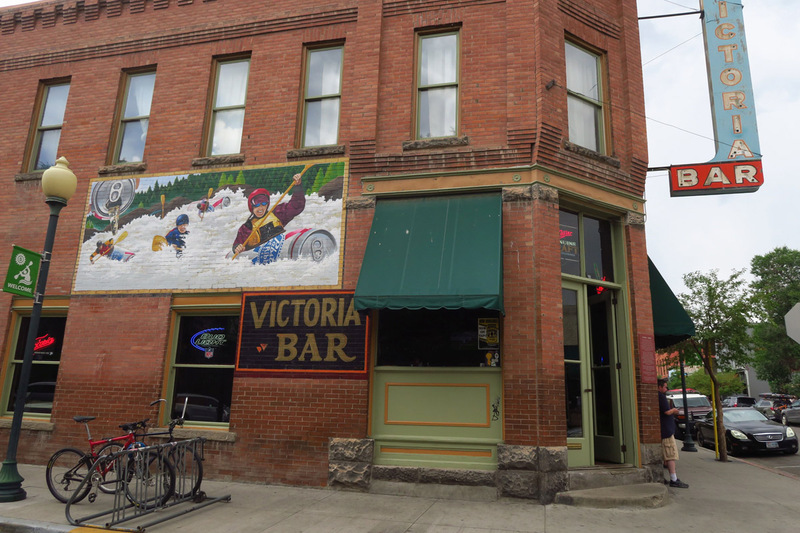 A hundred miles away (in Victor at 9700 feet elevation) and thirty-three years ago, I met my husband. This area was magical for us as we shared the stimulus of a photography workshop. We’ve been back a few times with our cameras, and long to do so once again. The area is a fantastic magnet for us. Your fab photographs have just about pushed me over the edge. Maybe this year it will happen. 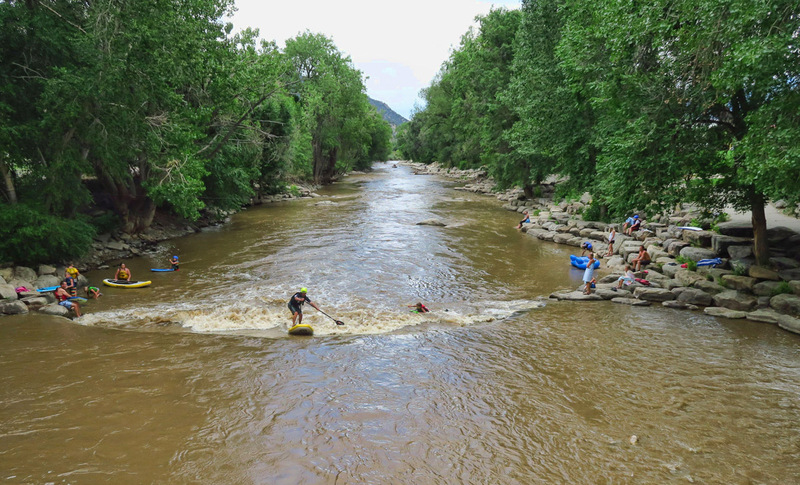 Well, Salida definitely looked like great fun. I haven’t subscribed to “Boondockers Welcome” for those very reasons you wrote about. We aren’t particularly social, hanging with people can be fun, if we know them, whereas getting to know new people is always a bit stressful. I would feel strange parking in a stranger’s driveway, in fact it was so hard parking in my son’s driveway that we apologized and moved to an RV park. We had 95 degree weather in MO and his 15 amp power as an excuse, but oh boy we were glad to get back on our own turf. I really do wonder what is in it for the hosts, except to meet people of like mind perhaps, but then again it could feel really awkward. So I’ll skip it for now. Might have to try Harvest Hosts eventually, however, we will see. Since we aren’t full time, we can afford the luxury of paying for COE or Military FamCamps which keep our cost down when on the road. 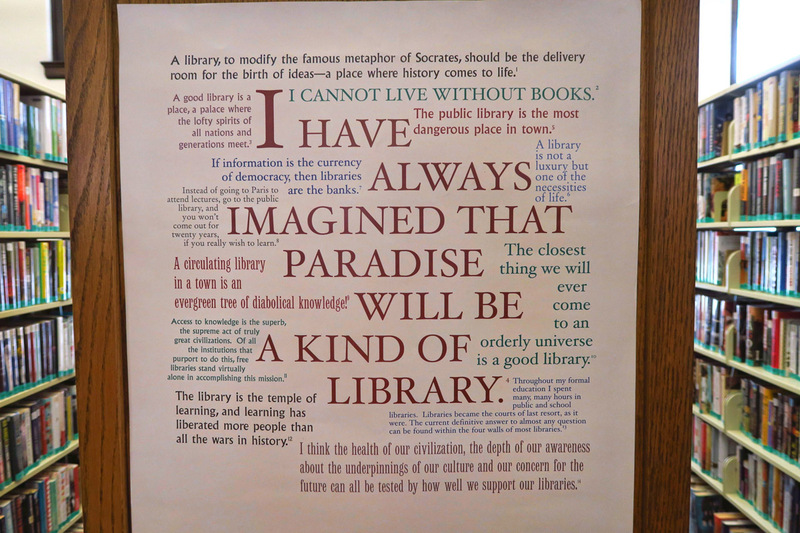 Thanks for a very thoughtful and pertinent post, Suzanne! I haven’t signed up for Boondockers Welcome yet, for the same reasons you mention. I like your idea of a profile, I think the early riser, night owl notation would be necessary. I would feel obligated to socialize, even if I just wanted to be alone and relax. I took your title to reflect on the boundaries (aka responsibilities) of those of us who to boondock. Many once ‘free’ BLM and FS campsites are charging now, some ask for a donation. Others have reduced the area available, like Clark Lake in Borrego Springs. It seems to be a sign of the times that good spots are disappearing and few are being maintained. So funny… I just joined Boondockers Welcome but have yet to use it… and I have the exact same feelings you do, being a loner too. Really enjoy your blog… am a brand new solo full timer trying to figure this out and concerned I won’t like it after my big investment… I admire your spirit and it’s nice to hear of your ventures. CK, welcome to the blog and the world of solo full timing! Please forgive me for taking so long to approve your comment, but I have been without signal for the last 24 hours. Thanks for commenting and following along. I are not members of boondockers welcome and probably won’t join just for some of the reasons you mentioned. We are just looking for a place to stay and no interaction. If we know the people either virtually or have met before that is another thing but it is just too awkward otherwise. Ah, Salida. Between Soulcraft Brewery and Amica’s Pizza, I think we could live there. I’m always watching (and enjoying) here and try to stay quiet least I embarrass my sis yet I just have to share this one. Seeing the bridge I immediately said to myself, well that one is easy because it has to be the Tallahatchie Bridge. And with these thoughts chained together I said “I wonder exactly where IS the Tallahahatchie Bridge” and then after the fateful Google search somehow I looked up and realized I had already been an hour and a half, lost somewhere in time while reading poets and authors the world over and their interpretation of what it was being thrown off of that ridiculous bridge. Tangents are going to be the end of me (if not Google itself)! Otherwise … really enjoying the blog; it’s super! Loved your comment, Don, as I was thinking the exact same thing when I saw the flowers on the ledge. 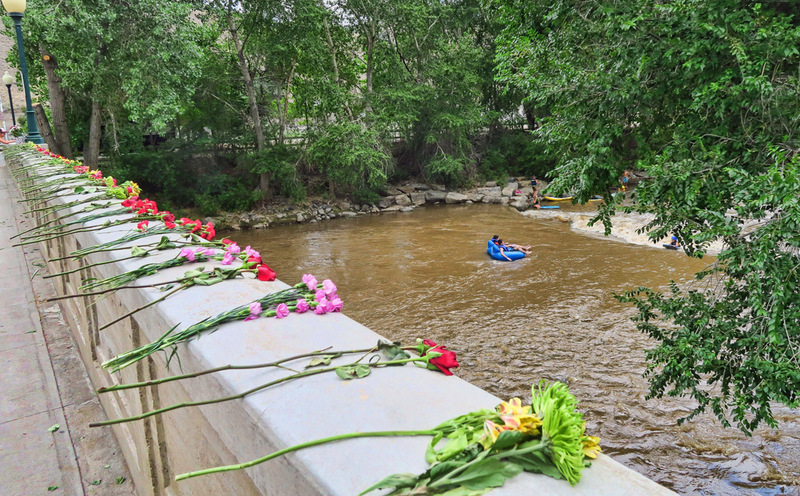 “Was it flowers they were throwing off the bridge?” I asked myself, musing about the song. So, of course, I *had* to look it up…no, just…”somethin'”. But, then, *she* drops flowers into the muddy water…so, yeah. That photo is def a conjurer. Very good write up on Boondockers Welcome! I hope those who run the website see your words and consider your idea…makes sense to me. I feel like you do, there’s only so much social interaction I am willing to deal with. I’ve used Boondockers Welcome successfully, but my profile states clearly that I only need a one-night stand, early to bed, early riser and out of there, thank you sir and m’am. Always a quicky conversation, quite lively, then I go to my van and really do fall asleep soundly, sometimes pulling out in the morning before they’re awake. Don’t feel guilty or anythig. Once, I needed a place for 5 nights in Seattle, waiting on my cruise ship, and a couple obliged to let me stay there, didn’t use AC, they were gone alot on their own little vacation. They were just happy to help another traveler out . . . Just one hour of conversation is the norm in my opinion, and other retired travelers really do get a kick out of meeting others like them. Back in the 80’s and 90’s I belonged to a group that promoted inexpensive travel. You paid a yearly fee, got a directory (before internet) and contacted other members directly to stay in their homes for free. I did it several times by hosting people and then connected with a lady in San Fran who wanted to be gone for a month and needed a cat sitter – not a difficult job. ALL at no cost. It was good all over the world. I wish I could remember the name of it……..maybe it will come to me. But, if someone stayed with me strictly as a place to stay, my preference, I was happy. If they wanted a guide, if it was possible, I did so, but only a few times………….I think if you just “go with the flow” and have no expectations, life is such a trip! ha. “Boondockers Welcome”…hmmm. Not sure we’ll ever use it. We still seem to find good boondocking sites as we travel. Such is the life of full-timers. We like staying where and when we like without needing to worry about all those things you have mentioned. But we DO agree that certain areas , once available, are not as they once were. 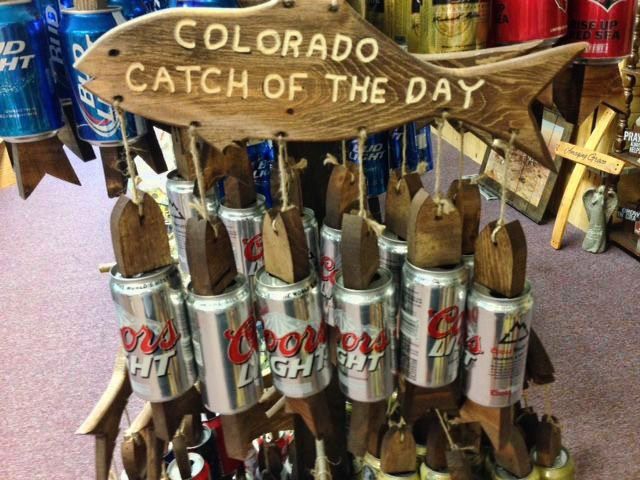 As for Colorado, the. state park system is a rip off in my opinion. But they can get away with it because the state is so popular and beautiful. 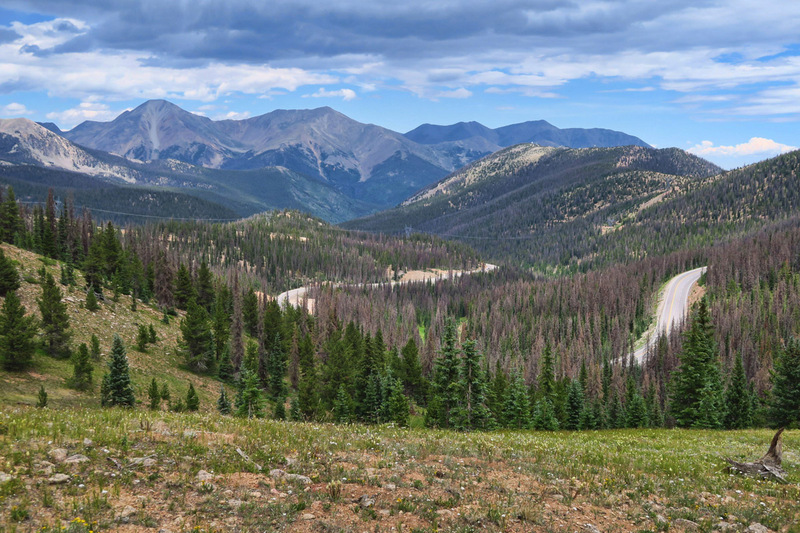 We almost never stay in a Colorado State Park if a National Forest camping area is nearby, as is often the case. Soon, we will be wrapping up our wonderful camp host positions here in Northwestern Wyoming , and trekking south thru Colorado. 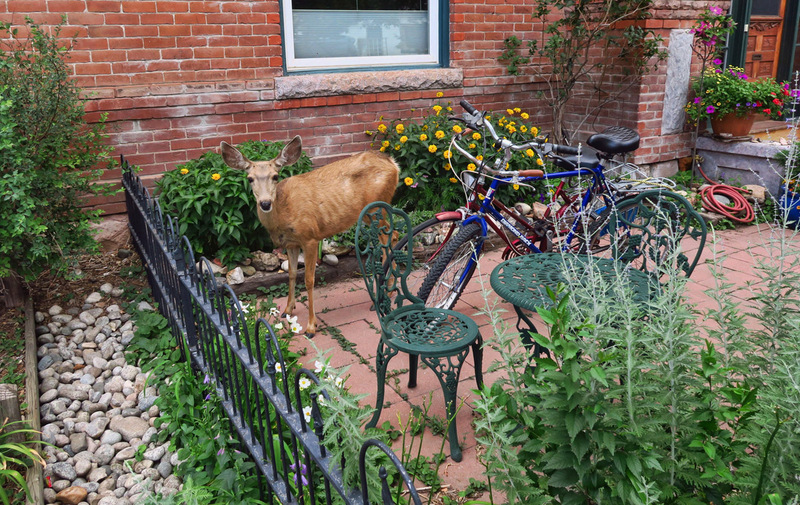 Maybe a trip to Salida is in order. Yes, our blog is down. It will be back up in the near future. Switching hosts. 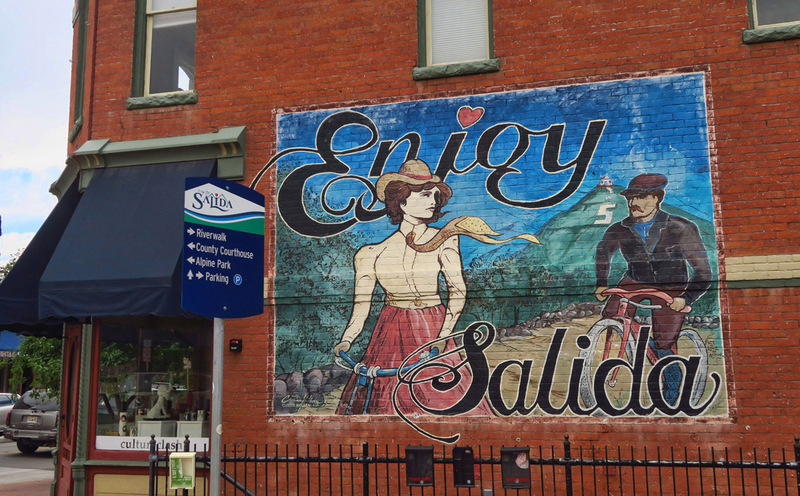 Salida looks like a very cool town. I like the concept of “Boondockers Welcome” and your idea that having a profile of both parties might be a good idea. I just subscribed to House Sitters America and that is the approach they take. It seems to work well. Here it is, months later, and I (Boondockers Welcome co-founder) am finally weighing in. I like to think we catch most posts about our platform, but I missed this one. And to make it more embarrassing, you probably know that I follow and sometimes share your posts, Suzanne. (Obviously not as faithfully as I should, and I admit, I rarely spend the extra time to go back if I miss a few). If our lovely hosts in Salida, Cabin on the Creek, had not just come across this post and alerted me, Boondockers Welcome might still be seen as non-responsive. Which we certainly are not. Both hosts and guests are, indeed, required to create a profile about themselves on the site. We ask them to describe who they are in their own words but we also provide a few leading questions about their RV, pets , travel party, home town, skills and expertise, and favorite boondocking locations. It never occurred to us to include more personality or habit based questions. We ‘ll certainly consider your suggestion for more personality and habits information. “Early risers or not” might be one; however, I couldn’t answer that myself. In general, no, but when we’re traveling, it often depends on what the day has in store. We are both hosts and guests ourselves, and always ask about morning plans before retiring for the night, so we know whether to say our goodbyes now or in the morning. I guess I presumed everyone would know to do the same. We also have each other’s mobile number (provided through the website once a request is accepted) so we text or call rather than knock on the door. Reasons for hosting vary from one host to another. Most are RVers themselves, are planning to buy an RV, or go full-time. For them, it’s usually about paying-it-forward. They know how frustrating and expensive it can be to have to pay full price for a campground and require reservations month in advance, when all you need is a safe place to sleep en route or for a couple of nights while seeing the local attractions. Most hosts expect THAT to be the reason you’re staying with them. 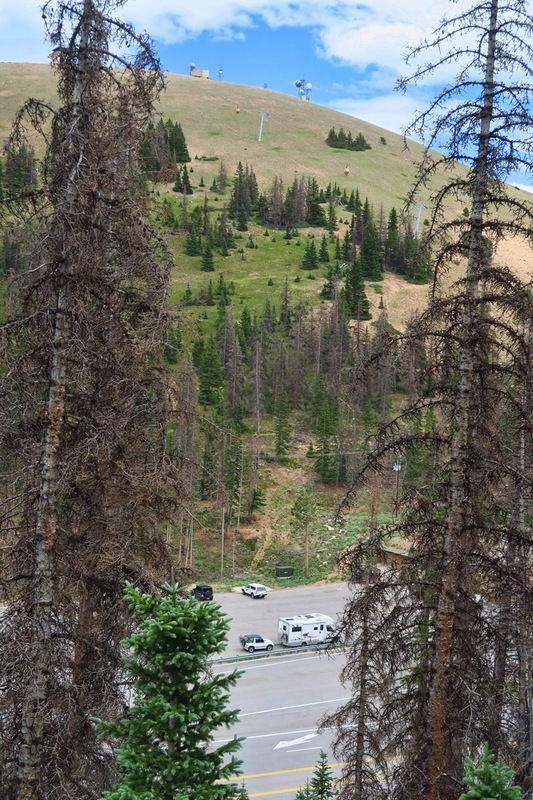 If guests stay more than one night, it should not be to spend the day holed up in their RV. Host properties aren’t a vacation destination. They expect you to go out and enjoy the sights of their area. They love where they live, and showing it off is often another reason for hosting. This also solves the dilemma of whether you should offer to pitch in while hosts are working plus it provides a topic of conversation at the end of the day. Many of our members say they were hesitant to join and had the same thoughts you expressed. But they took a $30 gamble and liked the experience enough to use it again, even if only once in a while. They also are very likely to become hosts themselves in the future, just as you indicated you might consider, Suzanne. That weird feeling that comes from accepting generosity from anyone who doesn’t want to be paid goes away if you think you can reciprocate. If you can’t pay it forward now (as a full time RVer), consider paying it backward at some time in the future. If not for a BW host, do something nice for another stranger you meet. That’s a movement we can all understand. It’s without an official online platform; although, maybe there should be one.